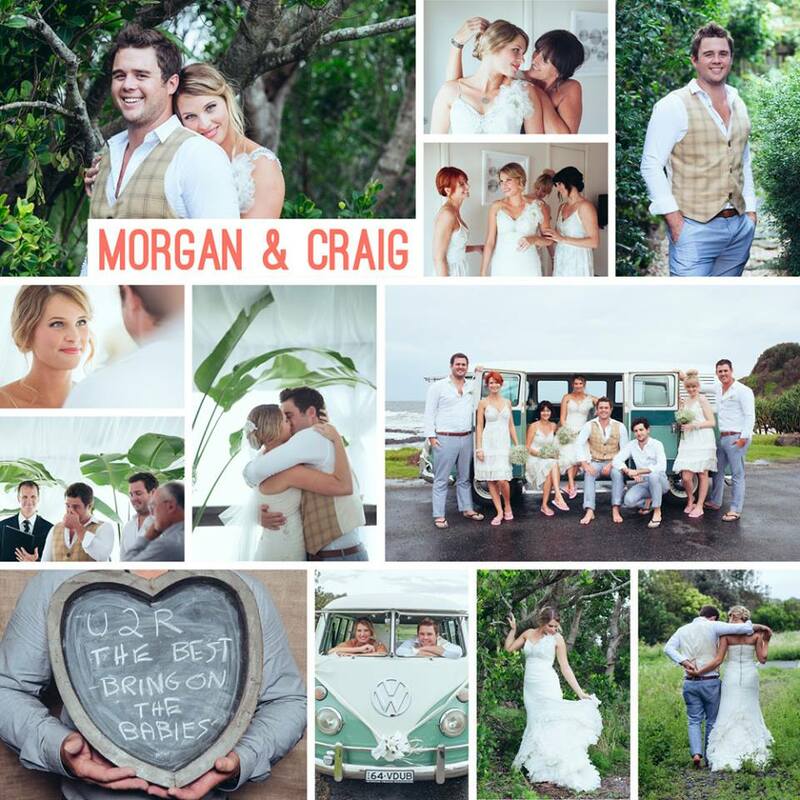 Morgan and Craig are an incredibly super sweet couple and whenever you are around them you can truly see the beautiful connection that they share. 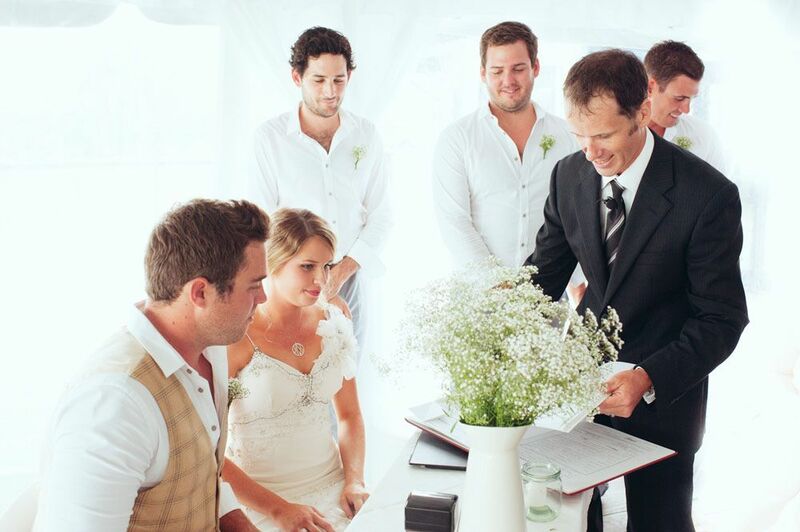 Their Byron Bay wedding was so special for so many reasons and while Jamie was the Celebrant for this couples amazing day, I had the pleasure of tagging along and playing Celebrants Assistant and what I witnessed was an incredible connection, a big surprise for the groom and a whole lot of love. During the planning process Morgan let Jamie in on a little secret. Morgan has a very close relationship with Craigs mum which she is very thankful for and she was thrilled when Craigs mum unexpectedly and very kindly offered Morgan her wedding dress that she wore herself many moons ago the day she married Craigs father. Morgan loved the dress and after incorporating a little creativity, some alterations and of course adding her own gorgeous style, the unique dress was looking stunning for Morgan and commenced it’s journey as a family heirloom. After Jamie read these words Craig had a look of surprise on his face as he mouthed ‘really?’ to Morgan to which she nodded as her beautiful smile lit up her face, then (another) tear rolled down Craigs cheek. 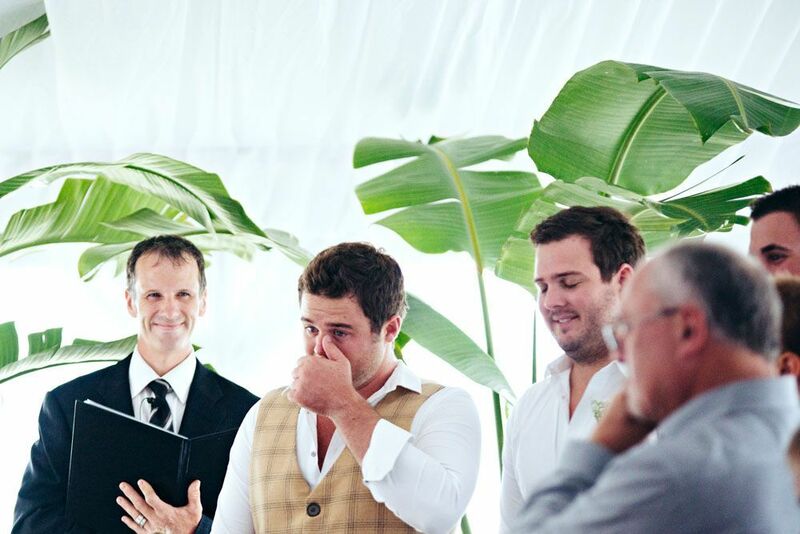 A truly beautiful moment in this gorgeous wedding. 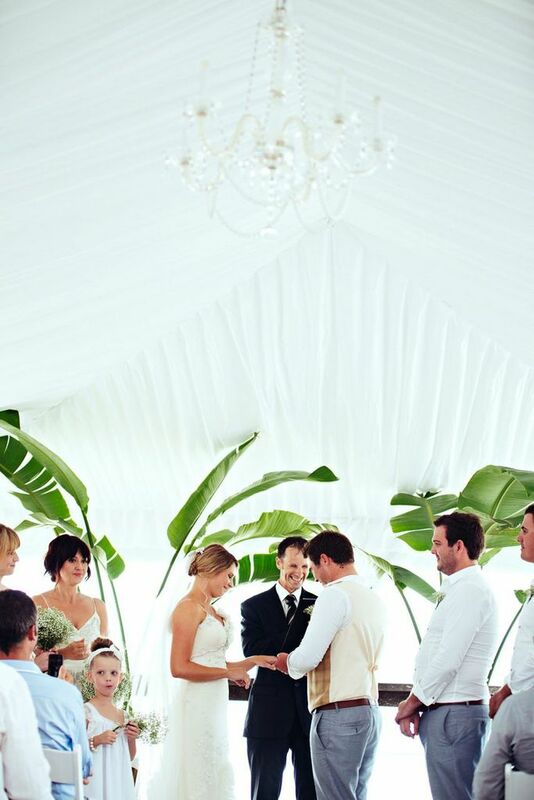 This beautiful wedding took place at the Byron Bay Surf Club, conveniently located overlooking Byron Bays Main Beach. I was in awe of the styling with the beautifully styled bridesmaids in white dresses, the bouquets of babies breath and the super cute little flower girls. The bridal party all went barefoot and along with the guests Jamie was asked to wear thongs which was a first for him in his capacity as a Celebrant. (P.S. Just to clarify, that’s flip flops to our UK readers and jandals to our kiwi friends). 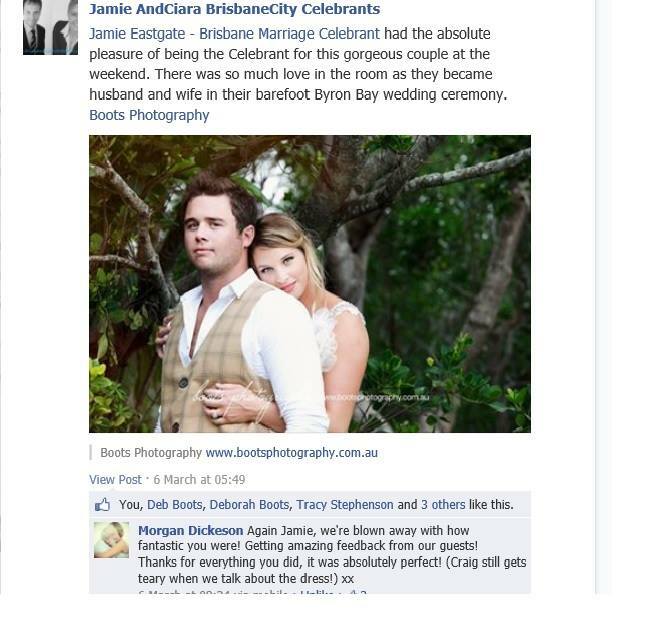 Morgan and Craig picked the perfect photographer to capture their style, the Deb from Boots Photography. If you love what you have seen from her images here, head over and see Deb’s blog post for this wedding which started bright and early with the groom and groomsmen having an early morning surf in the Byron Bay waves looking pretty cool in bow ties and braces here. 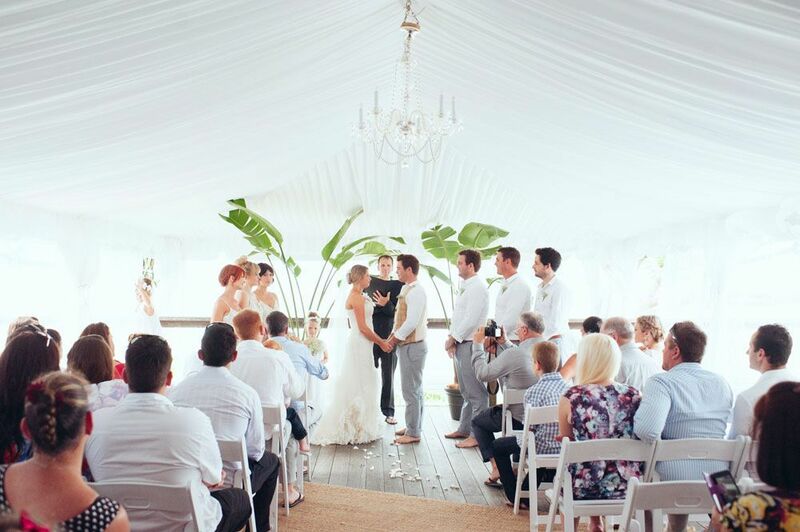 When brides to be contact us to ask if we travel to Byron Bay to perform weddings, the answer is not just ‘yes’…… it’s HECK YES! We love Byron Bay and it’s at the top of our list of favourite destinations for weekends away so adding a wedding to the equation only makes our visits to this amazing little town even more special and memorable. 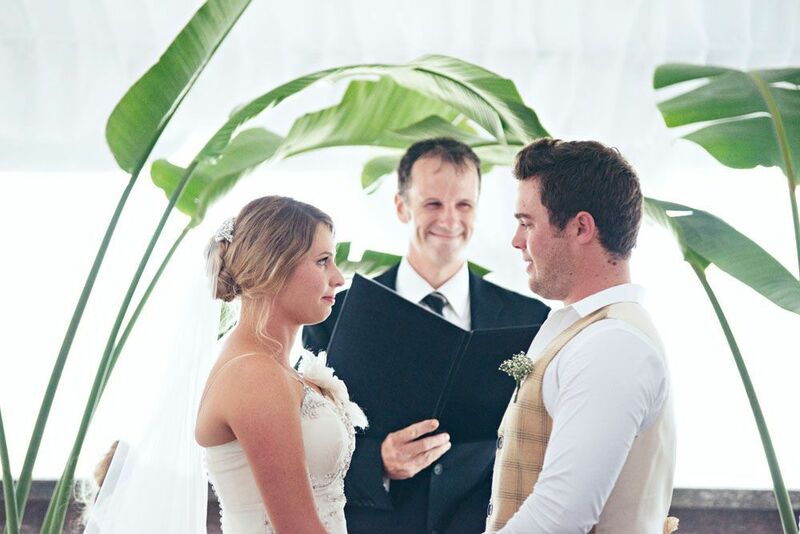 Brisbane City Celebrants are authorised to perform weddings anywhere in Australia, if you live in Brisbane and are getting married in Byron Bay, either of us would love to be your Celebrant for your Byron Bay wedding, contact us now to find out more. 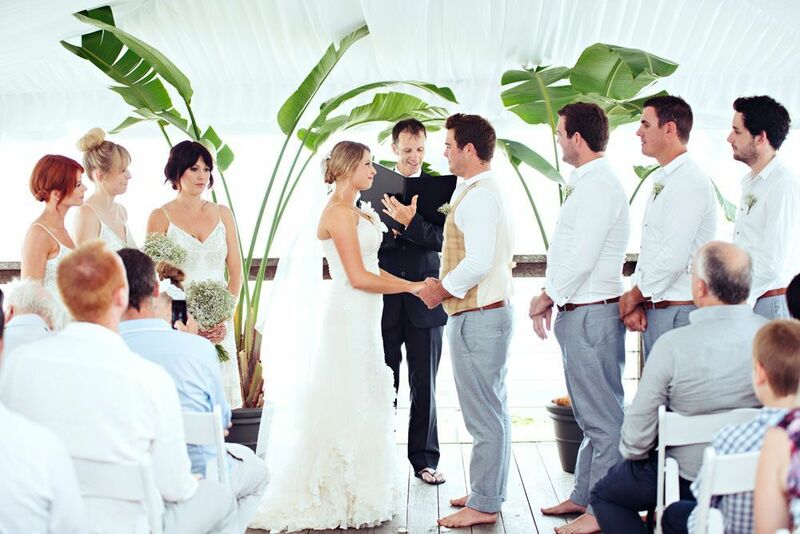 If you enjoyed hearing about this sweet Byron Bay wedding ceremony and are looking for a Brisbane based Celebrant for your Byron Bay wedding, Jamie would love to hear from you. Contact Brisbane City Celebrants for more information and to confirm availability for your special day.